One of the places you constantly end up in as a hidden object puzzle adventure gamer is a strange spooky island with strange inhabitants. That's the case in Redemption Cemetery: Grave Testimony Collector’s Edition. Once again you have to find your way out of the island. The audio-visual presentation is polished to every detail. And just like it is often in real life the way out is through. As you try to get out of the island full of lost souls you meet one of them, who tells you that you will only be able to get out back home if you help three of the lost souls. Now your way home lies through history itself. This game is very well done. The audio-visual presentation is polished to every detail. The graphics are beautiful, well, the dark kind of beautiful. The voice over is perfect and the soundtrack is excellent. The game is highly interactive. All the scenes always have a moving element which makes it so enjoyable to play and be there. The mini games range from the ones that you know and you have played them many times to the new ones that are more challenging and innovative. 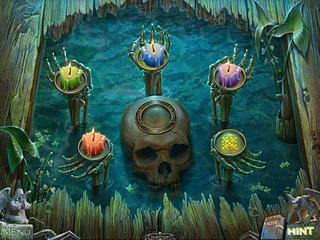 The hidden object levels reach the top of interactiveness so to say. You get to find one object in order to be abe to find another one. Some of them are quite challenging to find. That's when you want to get all the runes that you can in order to be able to use a crow for getting the items that are far to reach. All that can be said aboutthis game is if you love good hidden object puzzle adventure games, you are going to love this one too because that's what it is. You would need to know how close you were to the glass. If you were 6 away your reflection would not be the same size as if you were 6 feet away, and the rtleaive sizes of your reflection and the object would be different as well. For example, if you were 3 inches away from the glass your reflection would be much bigger than the object, but if you backed up 3 feet it might be smaller. 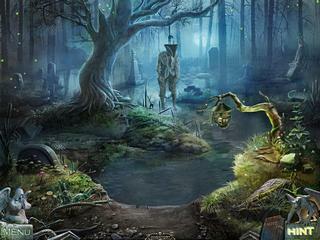 This is Redemption Cemetery: Grave Testimony Collector�s Edition review. Download this game here.